 The Epic Review: What does scale have to do with it? 6", 4", Mythic Legions, and more! What does scale have to do with it? 6", 4", Mythic Legions, and more! With Poe Ghostal going on indefinite hiatus, there is now one fewer site offering hard hitting commentary on action figures and the toy industry. Fortunately, we still have Philip Reed of Battlegrip.com to give us our daily dose of thoughtful discussion. 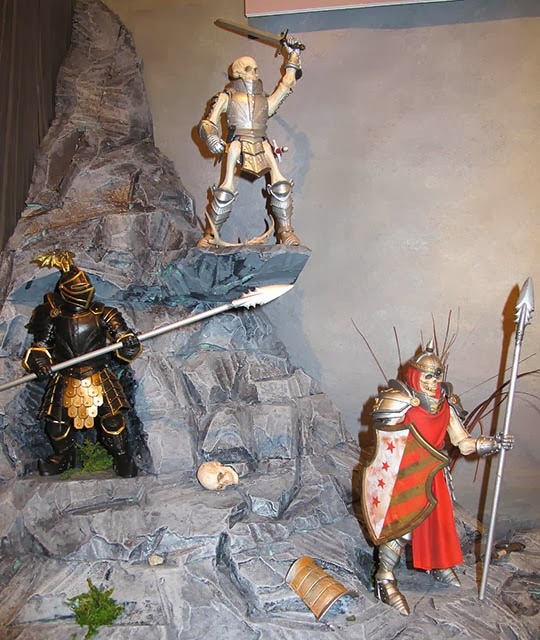 Yesterday he posted a fantastic article about the Four Horsemen's new Mythic Legions toyline, why it isn't in the 6 inch scale, and why many collectors are reacting negatively to that fact. 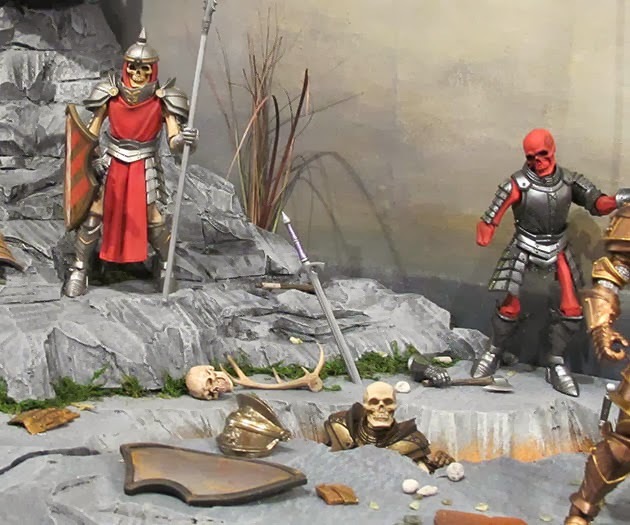 Mythic Legions is a 4 inch fantasy action line that uses Onell Design's Glyos system to allow for the maximum amount of customization and interchangeability. Check out this great interview that It's All True did with the Four Horsemen to learn more about this line. It should make fans of Dungeons and Dragons, Conan the Barbarian, Masters of the Universe, and all things Tolkien squeal with delight. I think these guys look really, really cool. As a fan of many forms of fantasy (everyone knows how much I love Masters of the Universe), the thought of figures that evoke the appeal of Dungeons and Dragons, Conan the Barbarian, and numerous role playing games really appeals to me. These are beautiful toys in and of themselves. 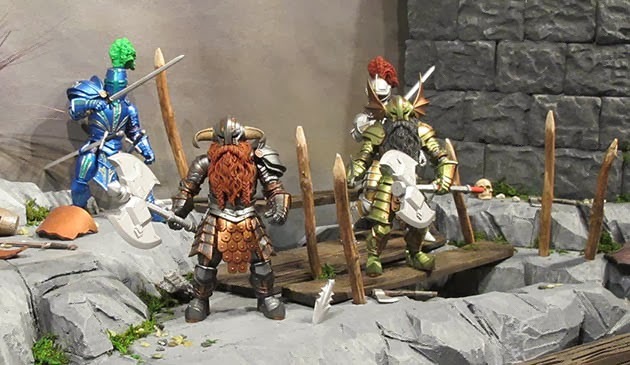 I’ll admit, however, that the four inch scale is a bit of a turn off for me in regards to fantasy figures because few truly exist in this scale other than maybe some of the Bridge Directs’ smaller Hobbit figures (and some of the Chronicles of Narnia and Chap Mei stuff). I love 4 inch lines like Star Wars, G.I. Joe, and Indiana Jones and I’ve even gone through periods where I was really into the 1/18th Marvel Universe line, but I always find that they just don't display as well on shelves as the larger figures do. When it comes to action figure lines that aren't trying to capture an entire established universe, I do tend to look at how they can be displayed with other similar lines. All of my movie based 80's and 90's action heroes and such are pretty much in the 6-7 inch scale that McFarlane and NECA established with Movie Maniacs and Cult Classics and that other companies like SOTA, Mezco, Diamond Select, and Amok Time have used as well. The same goes for most of my zombie action figures; they’re all around 6-7 inches. When McFarlane’s The Walking Dead line came out (and even though the television based line just keeps getting better and better) I passed because the scale fit with almost nothing else that I have. They're too large to add zombies and random survivors in with my G.I. Joe collection but they're too small to fit in with the three shelves of figures that I have collected that are zombies or zombie fighters. Most Resident Evil stuff produced by NECA and Palisades, Planet Terror, NECA's Cult Classics stuff like Shaun of the Dead, Bubba Ho-Tep, and Dawn of he Dead, the Land of the Dead toyline, and the excellent Attack of the Living Dead are all between 6 and 7 inches and work well together. The Walking Dead might look great, but if they were standing next to the rest of my collection I'm afraid I might be tempted to sing "One of these things is not like the other..."
I know that there definitely seem to be many collectors with the opinion that the 6 inch scale is dying, but looking at the market I’m just not seeing that. In fact, It seems to me that more companies are getting into the 6 to 7 inch scale than we have seen for years. NECA keeps cranking along, offering bigger and better products like the ED-209, a Predator vehicle, and a Power Loader. Look at how many Predators and Aliens figures NECA has released and look at how many more they're planning on tackling. Their Toy Fair showing was exceptional! Marvel Legends has returned once again and for all three of the large Marvel movies this year (Guardians of the Galaxy, The Amazing Spiderman 2, and Captain America: The Winter Soldier) Hasbro has Marvel Legends 6 inch lines lined up. While they did that for Iron Man 3, they didn't really do anything but exclusives for Captain America, The Avengers, or Iron Man 2. Perhaps the biggest news in the 6 inch world is that Star Wars has shifted into the scale and seems to be plowing along with the first vehicle in sight. Smaller companies are utilizing the 6 inch scale with new challengers approaching. Funko is making quite a mark with their new Game of Thrones line and their upcoming Firefly line has quite a bit of buzz about it. Diamond Select seems content as all of their 6-7 inch lines seem to be doing well with an eclectic mix of properties: Marvel, Tarantino films, Sin City, Universal Monsters, and The Munsters. DC Collectibles keeps releasing more and more characters (and better selections) than we’ve seen in years, including some of the largest figures they've ever done like Clayface and Solomon Grundy from Arkham City. Even Mezco, who comes and goes, has figures from Breaking Bad and Sons of Anarchy in this scale (maybe even a bit larger). Of course, wrestling figures in this scale are also going nowhere. The cost of plastic might be going up and prices certainly are, but I can’t recall a time in quite a few years when I’ve been as happy with the 6-7 inch scale and have seen so much new, high quality product being released. I have to wonder if we’ll see the same thing happen with 6-7 inch figures that we saw with 12 inch figures where overwhelmingly they will move beyond all trappings as being "toys" and become inherently collector focused. We're seeing this now with many lines (maybe most). I’m also wondering if we’re seeing companies release nicer 6-7 inch figures to try and court fans who feel priced out of the higher end stuff, although Hot Toys, Sideshow, and 3A don’t seem to be suffering any. Honestly, though, we're kind of seeing the same thing with the 1/18th scale, right? The Four Horsemen have been selling their Power Lords and Outer Spacemen lines directly to collectors. The same goes for the G.I. Joe Collector's club and their figure subscription service, Ori Toys' upcoming Acid Rain, and Funko's ReAction figures. While people might point out problems with the 1/18th scale at mass market retail, plenty of direct market product seems to be doing well. In general, I think collector focused toys (regardless of scale) have already to some extent and soon are going to move completely beyond the trappings of retailers who dictate what goes on the shelves at Wal-Mart, Target, and Toys R Us. Online collectors and fans have a greater number of websites and blogs to utilize in advertising, distributing, and learning about the lines we care about. To big toy retailers I'm almost ready to say good riddance. I say almost because I still like to hit up the toy aisles first anytime I'm there. Just because. I think that perhaps the real reason for the negativity or just general lack of enthusiasm for this toyline is that despite cost issues and how cool the Mythic Legions figures are, fans of 6-7 inch action fantasy lines have already invested in their collections of MOTUC, The Lord of the Rings and the Hobbit, Marvel and McFarlane Toys’ Conan figures, and even the Horsemen's own Gothiropolis and Seventh Kingdom lines. These collectors have shelves where Mythic Legions could have an automatic home as part of a larger collection but, as cool as the 4H’s work is, many collectors know that these guys will inevitably stand alone in their collections, at least for the time being until the line expands where it has been discussed that other genres might be included. Anytime a new line hits, it can only be a benefit to line up with something previously established. If I were a company creating a new superhero line based on indy heroes, wouldn't it make sense to try and make sure my figures fit in with DC Collectibles, Diamond Select, Marvel Legends, and DCUC as much as possible? Or if I were releasing a minifigure line, wouldn't M.U.S.C.L.E. kind of be the scale standard to go with? I really am looking forward to these guys, but time and my experiences with the figures will determine my level of commitment. The Four Horsemen are one of the few design studios that really have their own following, but they've also got a great reputation for excellence and some savvy business sense. While I still can't hide that I am a bit disappointed by the scale, I hope this line does really well as I don't want to see them fail. 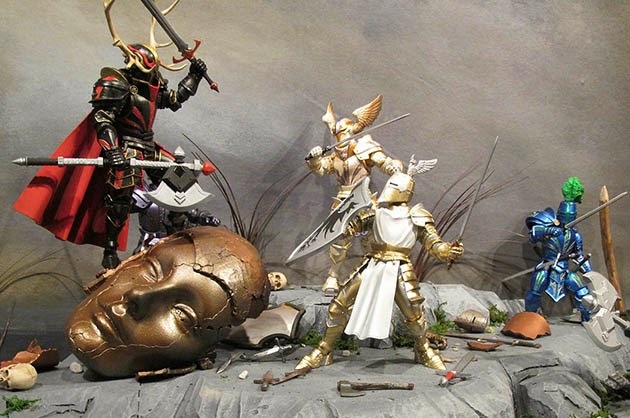 Mythic Legions looks fun, well designed, and expertly sculpted. I'm just not sure where to put them. To learn more about this line directly from the Four Horsemen, visit SourceHorsemen.com!